Nauru, officially the Republic of Nauru, is an island nation in the Micronesian South Pacific. The nearest neighbour is Banaba Island in the Republic of Kiribati, 300 km due east. Nauru is the world's smallest island nation, covering just 21 km² (8.1 sq. miles), the smallest independent republic, and the only republican state in the world without an official capital. Initially inhabited by Micronesian and Polynesian peoples, Nauru was annexed and designated a 'colony' by Germany in the late 19th century, and became a mandate territory administered by Australia, New Zealand, and the United Kingdom following World War I. The island was occupied by Japan during World War II, and after the war entered into trusteeship again. Nauru achieved independence in 1968. Nauru is a phosphate rock island, and its primary economic activity since 1907 has been the export of phosphate mined from the island. With the exhaustion of phosphate reserves, its environment severely degraded by mining, and the trust established to manage the island's wealth significantly reduced in value, the government of Nauru has resorted to unusual measures to obtain income. In the 1990s, Nauru briefly became a tax haven and money laundering center. Since 2001, it has accepted aid from the Australian government; in exchange for this aid, Nauru houses an offshore detention centre that holds and processes asylum seekers trying to enter Australia. Nauru was first settled by Micronesian and Polynesian peoples at least 3,000 years ago. There were traditionally 12 clans or tribes on Nauru, which are represented in the 12-pointed star in the nation's flag. The Nauruan people called their island "Naoero"; the word "Nauru" was later created from "Naoero" so that English speakers could easily pronounce the name. Nauruans traced their descent on the female side. Naurans subsisted on coconut and pandanus fruit, and caught juvenile ibija fish, acclimated them to fresh water conditions and raised them in Buada Lagoon, providing an additional reliable source of food. Traditionally, only men were permitted to fish on the reef, and did so from canoes or by using trained man-of-war hawks. British Captain John Fearn, a whale hunter, became the first Westerner to visit the island in 1798, and named it Pleasant Island. From around the 1830s, Nauruans had contact with Europeans from whaling ships and traders who replenished their supplies at the island. Around this time, beachcombers and deserters began to live on the island. The islanders traded food for alcoholic toddy and firearms; the firearms were used during the 10-year war which began in 1878 and resulted in a reduction of the population from 1400 to 900 persons. The island was annexed by Germany in 1888 and incorporated into Germany's Marshall Islands Protectorate; they called the island Nawodo or Onawero. The arrival of the Germans ended the war; social changes brought about by the war established Kings as rulers of the island, the most widely known being King Auweyida. Christian missionaries from the Gilbert Islands also arrived at the island in 1888. Phosphate was discovered on the island in 1900 by prospector Albert Ellis and the Pacific Phosphate Company started to exploit the reserves in 1906 by agreement with Germany; they exported their first shipment in 1907. Following the outbreak of World War I, the island was captured by Australian forces in 1914. After the war, the League of Nations gave the UK a trustee mandate over the territory, which it agreed to share with Australia and New Zealand in 1923. The three governments signed a Nauru Island Agreement in 1919, creating a board known as the British Phosphate Commission (BPC), which took over the rights to phosphate mining. Japanese forces occupied the island on August 26, 1942. The Japanese-built airfield on the island was bombed in March 1943, preventing food supplies from reaching the island. The Japanese deported 1,200 Nauruans to work as labourers in the Chuuk islands, where 463 died. 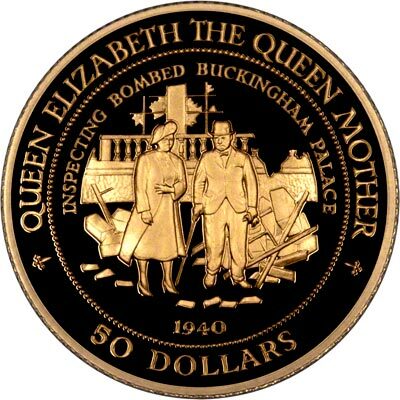 The island was liberated on September 13, 1945 when the Australian warship HMAS Diamantina approached the island and Japanese forces surrendered. Arrangements were made by the BPC to repatriate Nauruans from Chuuk, and they were returned to Nauru by the BPC ship Trienza in January 1946. In 1947, a trusteeship was approved by the United Nations, and Australia, NZ and the UK again became trustees of the island. Nauru became self-governing in January 1966, and following a two-year constitutional convention, became independent in 1968, led by founding president Hammer DeRoburt. In 1967, the people of Nauru purchased the assets of the British Phosphate Commissioners, and in June 1970, control passed to the locally owned Nauru Phosphate Corporation. Income from the exploitation of phosphate gave Nauruans one of the highest living standards in the Pacific. In 1989, the country took legal action against Australia in the International Court of Justice over Australia's actions during its administration of Nauru, in particular, Australia's failure to remedy the environmental damage caused by phosphate mining. The action led to an out-of-court settlement to rehabilitate the mined-out areas of Nauru. Diminishing phosphate reserves has led to economic decline in Nauru, which has brought increasing political instability since the mid-1980s. Nauru had 17 changes of administration between 1989 and 2003. Between 1999 and 2003, a series of no-confidence votes and elections resulted in two people, René Harris and Bernard Dowiyogo, leading the country for alternating periods. Dowiyogo died in office in March 2003 and Ludwig Scotty was elected President. Scotty was re-elected to serve a full term in October 2004. In recent times, a significant proportion of the country's income has come in the form of aid from Australia. In 2001, the MV Tampa, a Norwegian ship which had rescued 433 refugees (from various countries including Afghanistan) from a stranded 20-metre (65 ft) boat and was seeking to dock in Australia, was diverted to Nauru as part of the Pacific Solution. Nauru continues to operate the Nauru detention centre in exchange for Australian aid. In November 2005, two refugees remained on Nauru from those first sent there in 2001, and the last of them finally achieved resettlement at the end of 2006. The Australian government sent further groups of asylum seekers to Nauru in late 2006 and early 2007. 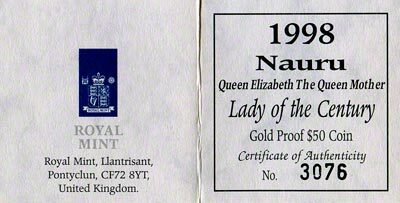 It was only as recently as 1999 that Nauru issued its own coins for the first time, and has also issued a number of commemorative coins including gold since 1994. 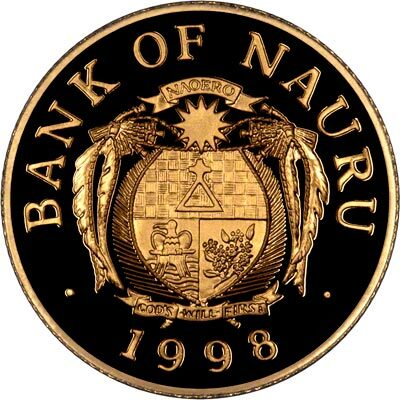 The obverse of all Nauru coins bears its coat of arms. The design of the coat of arms of Nauru originated in 1968 following the declaration of independence, and it began to be used officially in the early 1970s. Its shield is divided and separated in the middle. In the upper section the chemical symbol of phosphorus is shown over a golden woven background. The lower silver section depicts a black frigatebird, which sits on a perch over blue ocean waves. The lower right section is blue and contains a branch of calophyllum flowers. The shield is surrounded by images of tribal chief gear, which was worn to ceremonies - ropes from palm leaves, feathers of the frigatebird and shark teeth. The star centered above the shield is taken from the flag. The ribbon above it bears the name of the island in Micronesian Nauruan: Naoero. The ribbon under the shield bears the national motto of the Republic of Nauru: "God's Will First". It has the frigate bird in common with its near neighbour Kiribati. For silver and base metal coins of Nauru, please look at our original Chard Coins website. 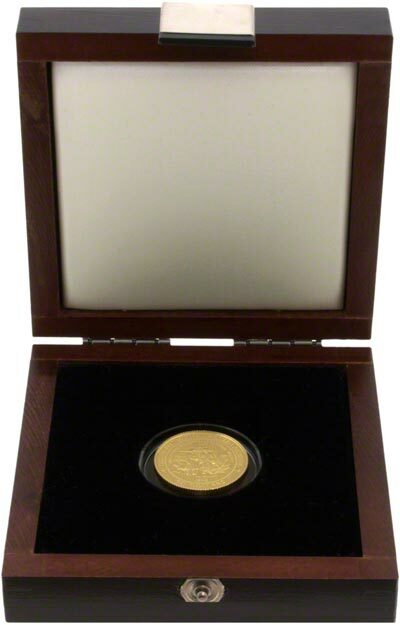 We make an active market in almost all world coins, gold or otherwise, including Nauru gold coins. If you have any of these coins to sell, please contact us, or post them to us for appraisal and offer.